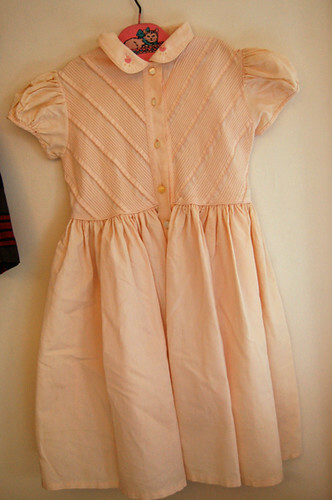 recent thrifting: vintage dress | Flickr - Photo Sharing! magmabb and elizabeth+ann added this photo to their favorites. Sweet little cap sleeves. Love the pintuck detail.